You don't need to have expertise to launch your information marketing business because you can work with guest experts on your teleseminar series. Here's how to find them and hire them. As the owner of an information marketing business, running it as a sole proprietor may not be your best choice. Here's why incorporating may be a good move for you. 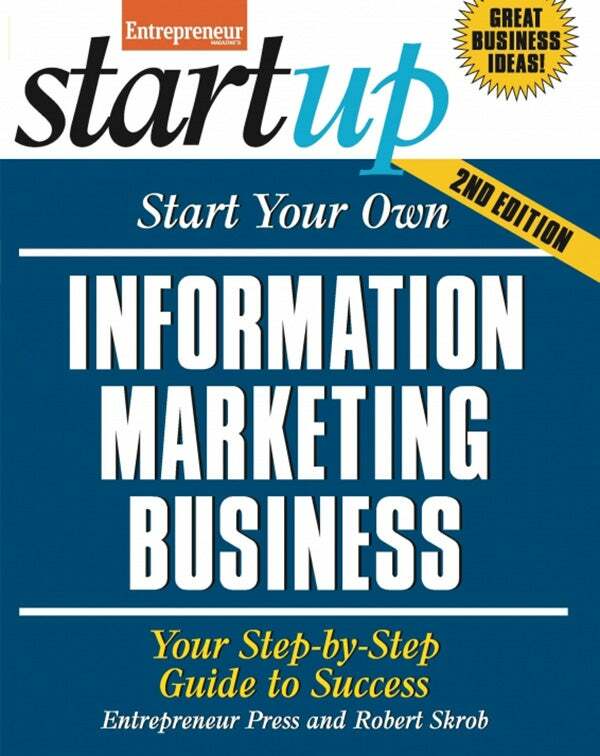 If you're ready to start your information marketing business, this one technique can help you get started immediately and begin growing your business. If you're trying to determine they type of business to start, we'll give you 6 reasons information marketing might be a good choice for you. These four presentation secrets will grab your audience's attention and keep your customers engaged. Want a more comprehensive guide? A six-figure income from information? Yes! It sounds easy because it is. You've got information that millions of others are looking for and now you can learn how to package, price and sell it. Let the experts at Entrepreneur, jumpstart your thinking about your area of expertise or interest and show you how to convert it into a high-demand information product. Follow the example set by today’s most successful information marketers, and learn how you too can sell and conveniently deliver the exact information a particular market is after—and willing to pay for! Whether you hope for extra cash or a full-time venture—information marketing is a flexible, lucrative business that you can start any time, and everything you need is right here. Everything you need to know to create your own information product is right at your fingertips—including a six-week launch plan. Now, turn it into big profits!